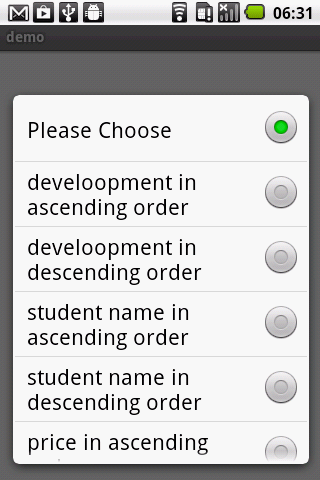 I made the alert, but I want to reduce the font size of the list items of the dialog. How can I do this? Note: Don't recommend inflating a custom layout to accomplish this, I wish to know if there is another approach. This produced smaller text size for the list items in the dialog. you have to use custom layout for this. Its just a way i am showing you the way its possible. Increasing the text should work fine, decreasing the text again should work fine(but in this case the row will continue to have a certain height based on the layout file used). Not the answer you're looking for? 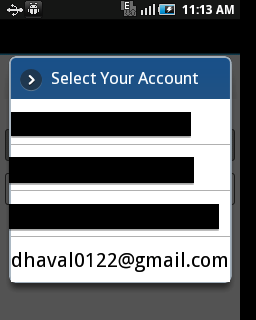 Browse other questions tagged android android-alertdialog android-custom-view android-fonts or ask your own question. 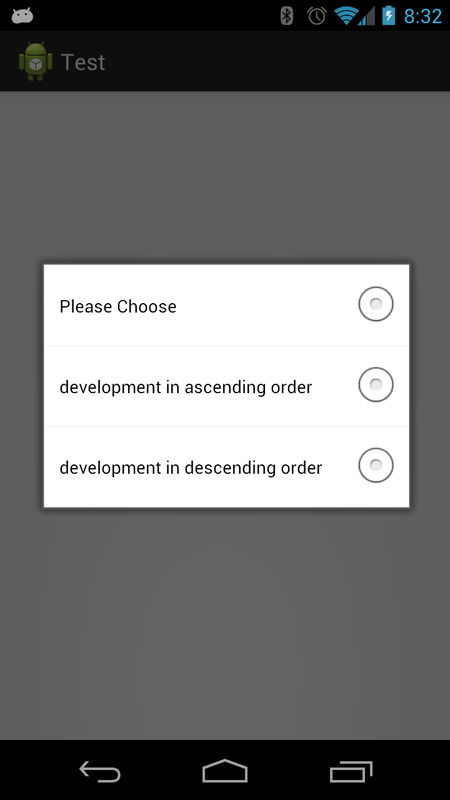 How can I reduce the item row height in a single choice AlertDialog? How to make Radio Button in Alert Dialog display very long text? how to settittle to listview in infater layout? Why does ListActivity not display last item in ArrayAdapter?